Reverse mortgage? How will it affect me? Those are the question that are unclear to many borrowers. There is a clear lack of understanding due to deceptive marketing practices. Lack of Understanding: few completely understand reverse mortgages. Many consumers struggle to understand how their loan balance will be impacted. They also do not understand that they need to continue to pay taxes and insurance on their home. Younger Borrowers: The report found the most common age for a new borrower is 62—the first year in which a consumer becomes eligible or qualifies for a reverse mortgage. Lump Sum Payments: Seventy percent of borrowers are taking out the full amount of proceeds as a lump sum rather than as an income stream or line of credit. This could lead to fewer resources available later in life and risk losing their home. Deceptive Marketing: There is an abundance of deceptive and misleading marketing materials about reverse mortgages. Borrowers need to understand this is not a government benefit or entitlement program like Medicare. Government seals may appear on mailers in order to entice consumers to sign up.This can be misleading. Housing Counseling: Counselors need to improve their understanding of thi sloan product to help consumers make informed decisions when contemplating reverse mortgages. So…what is a Reverse Mortgage? Here is an explanation from the CFPB website. A reverse mortgage is a special type of loan that allows homeowners 62 and older to borrow against the equity in their homes. 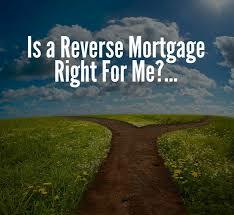 It is called “reverse” because you receive money from the lender, instead of making payments to the lender. The money you receive, and the interest charged on the loan, increase the balance of your loan each month. Over time, the equity you have in your home decreases as the amount you owe increases. When you take out a reverse mortgage loan, you can receive your money as a line of credit available when you need it, in regular monthly installments, or up-front as a lump sum. You do not have to pay back the loan as long as you continue to live in the home, maintain your home, and stay current on expenses such as homeowner’s insurance and property taxes. If you move or die, the loan becomes due and must be paid off. 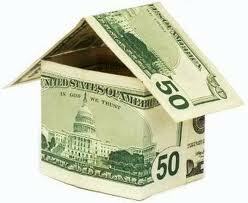 In most cases the home will need to be sold in order to repay the loan. Most reverse-mortgage loans are insured by the Federal Housing Administration (FHA). Some lenders may also offer proprietary (non-government insured) reverse mortgages, which are typically designed for homeowners with high home values. Check out the other reverse-mortgage related questions on Ask CFPB. Download this helpful consumer guide from the CFPB’s Office for Older Americans. Talk to a reverse-mortgage counselor. Find a HUD-approved counselor by visiting HUD’s counselor search page or calling HUD’s housing counselor referral line (1-800-569-4287).